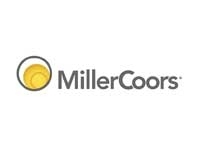 MillerCoors Brewery / Leinenkugel’s Expansion - Fueled by demand for Leinenkugel’s Summer Shandy and to scale up production of new, specialty beers, MillerCoors is expanding the existing 10th Street Brewery in Milwaukee. W.M. Sprinkman Corporation is designing and manufacturing the expanded brewery operation, which includes an 85-barrel/5-vessel brewhouse, drastically decreasing brewing time and allowing the brewery to go from four to 11 brews a day. A substantial expansion of the brewery’s cellar space includes 40 additional tanks joining the existing fifteen to round out the 120,000 square foot addition. The new annual production capacity of 250,000 barrels will be comparable to that of the company’s Leinenkugel brewery in Chippewa Falls, WI.